Washington declared it won’t fully withdraw its troops from Syria but will leave “400 peace keeping forces”, making these soldiers an official occupation force since the last ISIS stronghold is about to be freed. This new situation leaves the US and European allies without any cloak of legality, since the pretext of counterterrorism is no longer plausible. The number of remaining forces is irrelevant because the US has never revealed an accurate count of the number of its troops deployed in Syria and Iraq. Moreover, even if the number of soldiers is small, these remaining US forces can call for air strikes and prevent any forces, including the Syrian army, from crossing the Euphrates—at any moment they can call on US units stationed nearby in Iraq. Moscow and its allies foresaw the US decision not to withdraw from the start. Russia, Iran and Syria never trusted Donald Trump’s announcement of full withdrawal from Syria. Now that the dust has settled over the real US intention to remain in the Levant, Russia and its allies need to reconsider their plans. Negotiations between the Kurds and the government of Damascus will become more complicated and the relationship between Russia, Iran, and Turkey will be recalibrated. Tensions between the US and Turkey and between Russia, Turkey and Iran will impose themselves again in the Syrian arena. 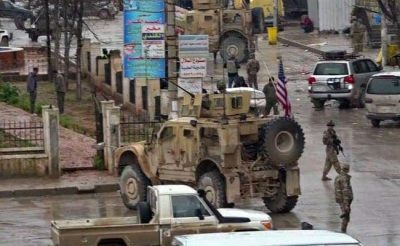 The continuing presence of US troops at al-Tanf on the Syrian-Iraqi borders and in north-eastern Syria makes it likely that the Kurds in al-Hasaka and Qamishli may not reach a clear deal with the Syrian government until the outcome of the US decision becomes clearer. Nevertheless, the situation of the Kurds is not enviable: they have fought against ISIS and have lost thousands of fighters in their fight to end the occupation of north-east Syria by terrorist groups. But that is not the end of their military role: the US still definitely need the Kurds as human shields for its remaining troops. However, Trump wants the participation of Turkey in the future 12000 square kilometre “buffer zone” he intends to create in territory controlled by Syrian Kurds and Arab tribes along the borders between Syria and Turkey. Simultaneously, Trump wants the Turks to protect their fiercest enemies, the “People Protection Units” (YPG), a Syrian branch of the PKK. Trump never explained how this contradictory situation could be achieved. A resolution must mean either full withdrawal of the YPG allowing Turkish regular forces (and their proxies) to take over, or Turkey refusal of the US plan. A couple of phone conversations between President Trump and President Erdogan triggered a large mobilisation of Turkish troops and their Syrian proxies on the borders with Syria. This long due mobilisation is exhausting the Turkish army with no visible sign of what could be the following step. To add to the complexity of the situation, the Russian leadership explained to Turkey that Moscow will not accept the presence of any Turkish troops in north-east Syria without the approval of the central government in Damascus. That also leads to another dilemma: notwithstanding direct Syrian-Turkish military level contacts, it is not evident that Damascus can accept talks with Ankara on any other level, particularly in the current state of affairs. Normally, this kind of communication is conducted indirectly through Russia. The lack of direct contacts and Damascus’ unwillingness to talk to Ankara will put further pressure on Russia and the US to achieve progress on the ground. In the north west city and rural areas of Idlib, the situation is now clear: either the al-Qaeda jihadist group formerly called al-Nusra, currently Hay’at Tahrir al-Sham, change their colours as the other jihadist group of “Ahrar al-Sham” has done, or the Syrian forces and their allies will attack and recover some territory. Although Ahrar al Sham are jihadists and include foreign fighters in their ranks, Russia and Turkey have agreed to accept their presence in the area. Sources on the ground say that Russian forces have been on full alert for the last several days on the Idlib front. Syrian allies based in Aleppo confirmed that six jihadists militants were shot and killed while trying to cross towards Aleppo. Russian air power has been intermittently bombing the jihadist forces, but not on an intensive basis. Turkey has shown its inability to remove jihadists from Idlib as agreed last September between Turkey and Russia. This is why the Syrian army and its allies are preparing a new round of attacks. The outskirts of the city of Aleppo are occasionally hit by mortars and home-made rockets fired by the jihadists. The Syrian army is shelling jihadist positions in the area: when spring comes, the liberation of Idlib is in the offing. The US has frequently threatened to intervene in defence of the jihadists in Idlib; in the past Trump himself threatened on many occasions to hit the Syrian army in case it were to move on Idlib. This time the situation is a bit different, as Russia is taking a more aggressive stand towards the US and may not allow the US to bomb its area of influence in Syria. 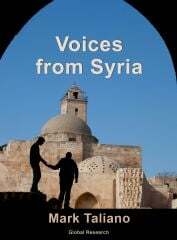 It promises to be a hot summer in Syria. The US establishment is in a quandary: the President wants to leave Syria while the establishment resists and delays his plans. Washington believes its foothold in Syria costs little, thanks to the local protection provided by its Kurdish proxies (YPG). Moreover, there are indications that the Iraqi government may ask US forces to leave the country. The Iraqi government and parliament are divided over this issue. The US establishment is preparing for this eventuality, exploring the possibility of reducing its presence in Iraq. If this becomes necessary it will entail a plan B, namely continued occupation of Syria; this will be a problem only if local resistance rises against the occupation forces. ISIS is losing its last kilometres in Syria. Its infamous slogan “Baqiya wa tatamaddad” (remaining and expanding) now belongs in the dustbin of history. This slogan has evidently now been taken over by the US establishment, who mean to remain and perhaps expand their presence in Syria. From the White House, Trump can now shout: “Baqiya wa tatamaddad”.